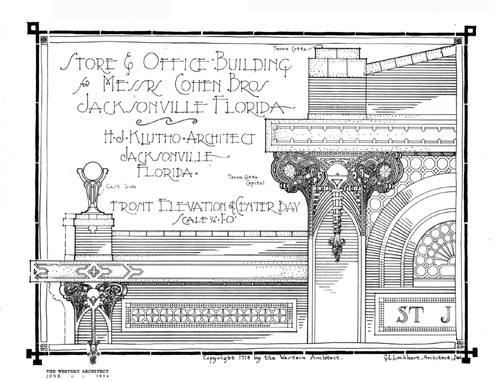 When it was completed on October 21, 1912, the St. James Building was the magnum opus of Jacksonville architecture and of the architect Henry John Klutho. 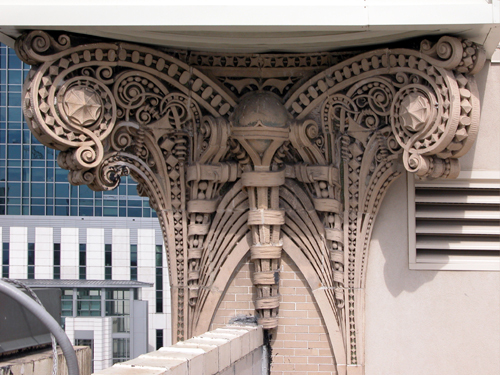 Prior to the 1901 Fire, this site was occupied by the St. James Hotel, one of Jacksonville’s grandest hotels during the tourist boom of the 1870s and 1880s. 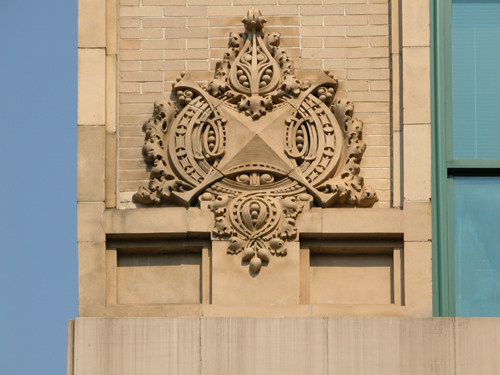 After the St. James Hotel’s destruction by the Fire, the owners of the rebuilt Windsor Hotel purchased the vacant lot to prevent another rival hotel from being built there. 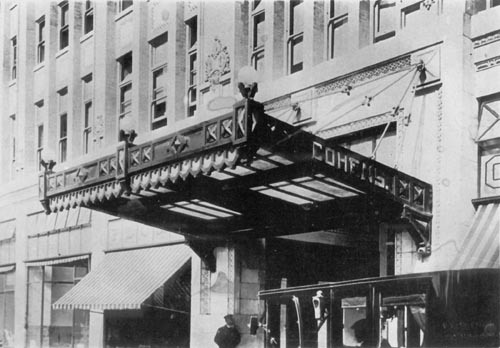 Jacob and Morris Cohen, owners of Cohen Brothers’ store, purchased the lot in February, 1910, with the stipulation that they could not construct a hotel on the site. 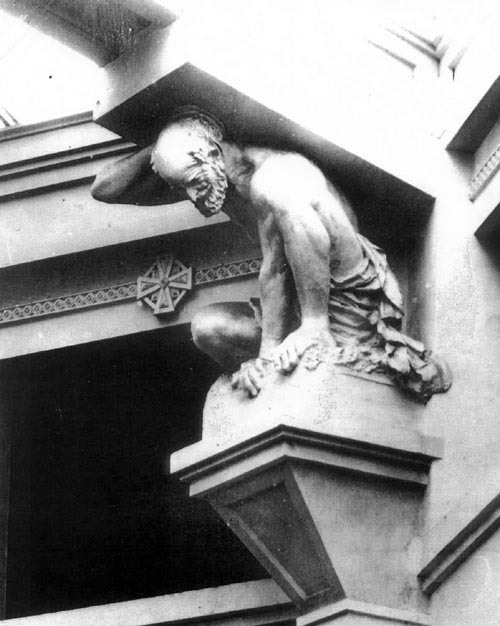 In March, 1910, the Cohens commissioned H.J. 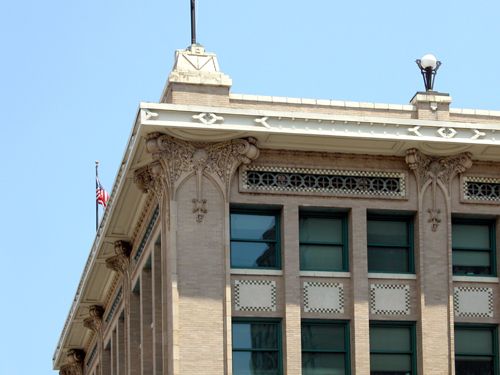 Klutho to design a department store building for their new property. 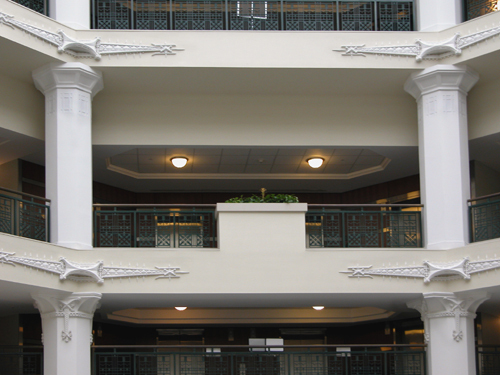 Unimpressed with the owners’ idea of a two-storey retail building, Klutho submitted three rather conventional two-storey designs followed by a dramatic four-storey plan, which he convinced the Cohen brothers would soon become the city’s major office and shopping center. 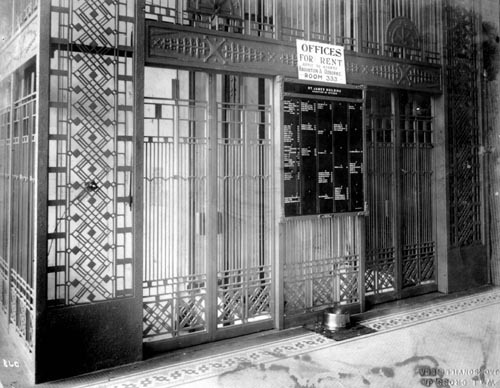 They accepted Klutho’s proposal of a four-storey building covering the entire city block, as well as his innovative concept of a mixed-use design: small privately run shops were located on the ground-floor periphery; a massive department store filled the center of the first storey and all of the second; and two floors of rentable office space were located above the store. 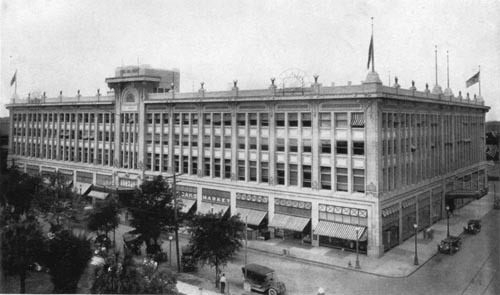 It was the largest building in Jacksonville and the ninth-largest department store in the U.S. 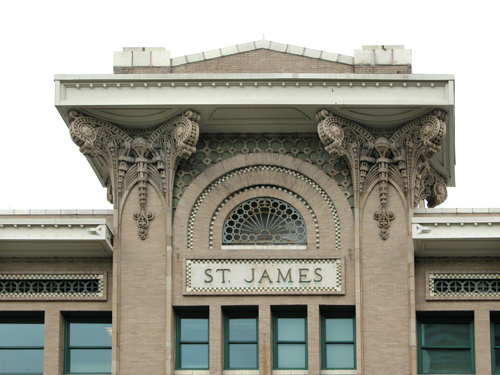 The St. James Building was Klutho’s Prairie School masterpiece, combining the design principles of Wright and Sullivan into his own personal creation. 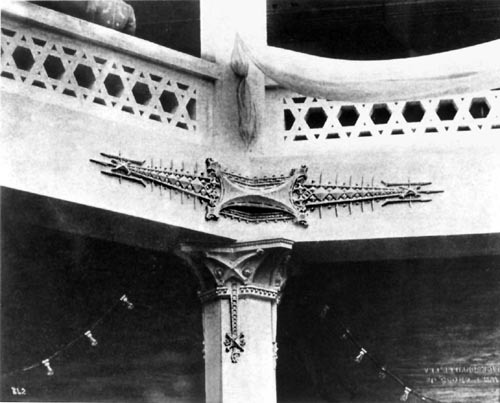 It was featured in the June 1914 issue of The Western Architect, which was a largely devoted to Klutho's work. 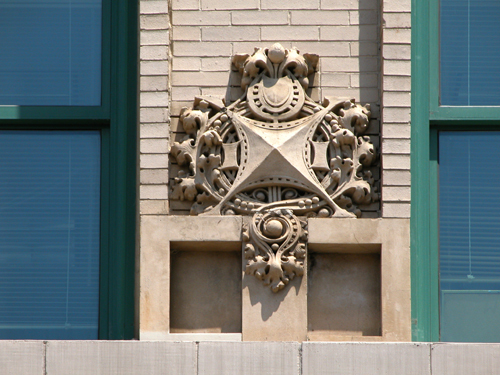 The St. James Building is richly decorated with terra-cotta Sullivanesque ornamentation, abstractly depicting spiral seashell motifs and plant likenesses native to this area. 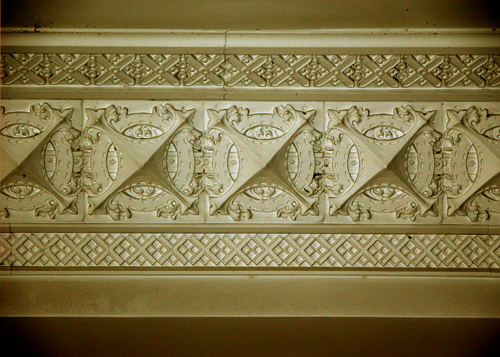 Klutho personally designed each of these ornaments, requiring the Conkling-Armstrong Terra Cotta Company of Philadelphia to send him all of the molds for his final approval before they made each section. Moreover, Klutho served not only as architect but construction manager as well, letting all contracts and approving all bills and payrolls. 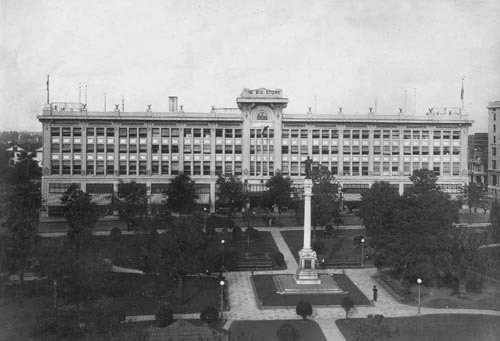 By using the “fast track” method of construction, the building was completed in less than eighteen months. 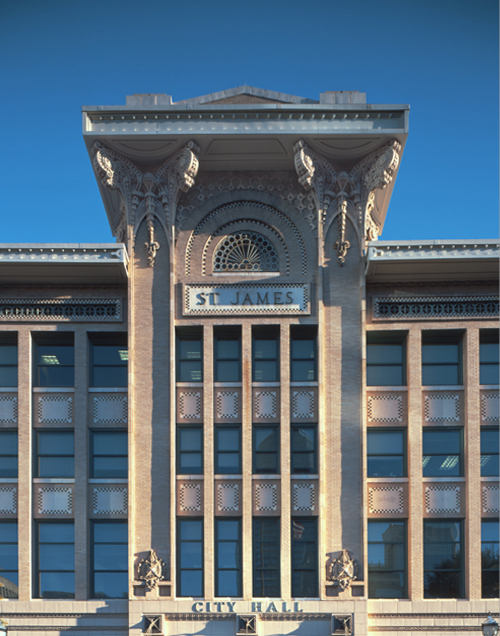 After many bad remodelings, the St. James Building was beautifully renovated to become Jacksonville’s City Hall, completed in 1997. 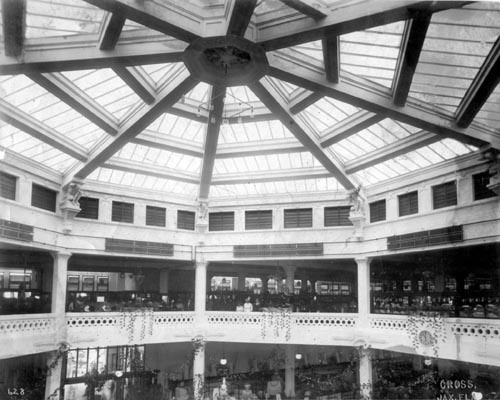 The project included reconstruction of the octagonal glass skylight and many of the lost architectural details on the facade. 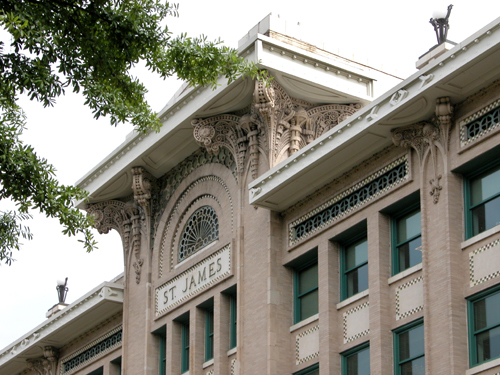 The St. James is not only one of Jacksonville's most monumental works of art, but also one of the most beautiful city halls in America. 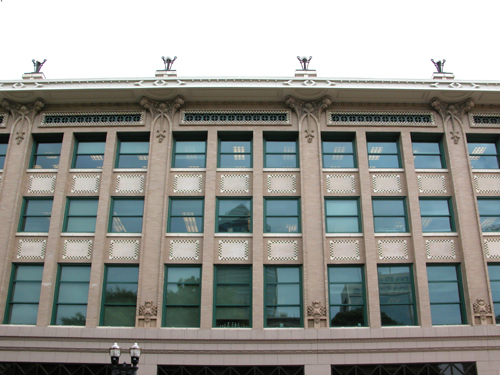 Listed in the National Register of Historic Places in 1976. Color photos by Wayne W. Wood and Judy Davis.